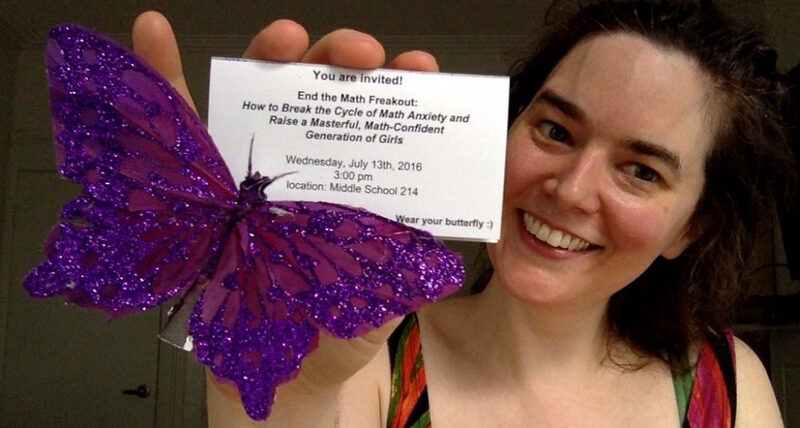 Math anxiety: while it’s one of the main reasons girls opt out of STEM classes, majors, and careers, math anxiety is rarely, if ever, even mentioned in school. But trying to teach students math while ignoring math anxiety is like trying to build a cathedral during an earthquake. Next Wednesday, July 13th, I’ll be speaking at a very special Think Tank sponsored by the Center for STEM Education and girls to address this very issue. In this presentation, you will discover how to use girls’ emotions around math as a secret weapon to create deep mastery and achievement, whether you’re preventing math anxiety or supporting girls already struggling with it. so your girls can shift the paradigm, achieve true mastery, rise to the top of their class, and even come to experience math as a source of joy and a type of self-expression. You will walk away with clear steps, case studies, and tools that you can immediately use to eliminate math anxiety and nurture a mastery approach and mastery mindset in your own classroom, school, or community.